Assuming we get a favorable decision, you can expect to receive this written decision in 30 to 90 days. Once the hearing decision is issued and mailed, the responsibility for your file is transferred to one of Social Security’s payment centers for processing. There, your payment amount and past due benefit amount is calculated and “payment letters” are sent out to you. Generally the payment letters are mailed within 15 to 30 days after issuance of the favorable decision. In my experience, your lump sum payment will be direct deposited into your bank account within 2 to 3 weeks after the payment letters are issued. As of March, 2013, SSA has phased out paper checks and requires all claimants to use direct deposit or to sign up for a Direct Express debit card. Read more about this change here. 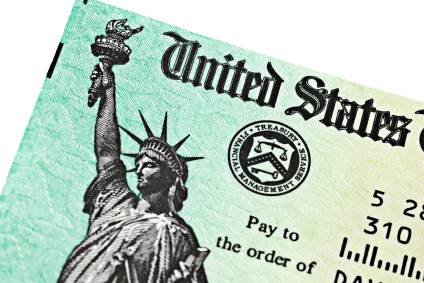 Bottom line: at best, you are likely to see your first dollar from Social Security within the next 2 months, but it could be as long as 6 months from now. Generally if there are delays, those delays occur at the payment centers. Known as “MODS,” the payment center assigned to your case is based on your Social Security number. If you are represented, the MOD personnel will not talk to you, but they will talk to me. Often, the biggest issue I face if finding the correct phone number for the various MOD offices. The MOD offices change their phone numbers at least once a year, if not more frequently. Social Security does not make the MOD phone numbers readily available, however, I am a member of a claimant’s advocacy group called NOSSCR which provides current MOD numbers to its members. Every week my secretary or I spend several hours calling the MODS asking about the status of our client’s money.